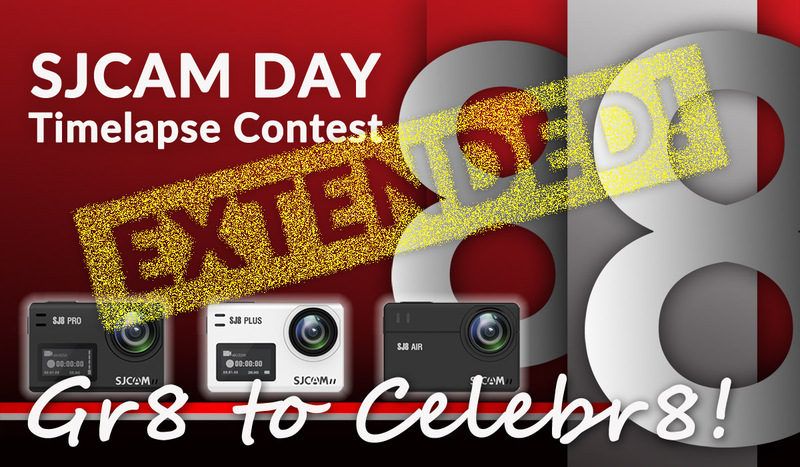 In celebration of SJCAM DAY, let’s do a timelapse video contest open to all. So get your cameras and get creative! Like and Share this post on your Facebook wall. Video entry must be posted on YouTube, privacy set to public. Video must have “SJCAM DAY 8.8 Timelapse” in the title. Minimum video resolution is 1080p, not exceeding 30 seconds in total. Background music may be used, provided it is not copyright-protected. Entry must only be uploaded to YouTube between the contest announcement date and August 8 2018. Entry must not be previously used in another contest anywhere. No other brands may be seen in the video other than SJCAM. Entries may not show anything that may be objectionable, including unlawful acts. SJCAM cannot be held liable for the actions of a person/persons resulting to injury or any violation of the law while recording videos for the purpose of joining the contest. An entry must be the original work of the participant. By entering, a participant (and if a minor, his/her parent or legal guardian) assigns any and all rights in and to the video, and copyrights thereof, to SJCAM. Entries become the property of SJCAM and may be used for promotional and/or other use. By entering, the participant authorizes SJCAM to use his or her name, and image in its advertising and promotion. Once an entry has been submitted, it may not be edited, modified, or replaced. Winners from the #SJCAM88streetlife contest may still win in this Timelapse contest. Judging will be carried out by 3 SJCAM Officials and 2 secret judges. Check out the #SJCAM88streetlife contest announcement, anyone can join!